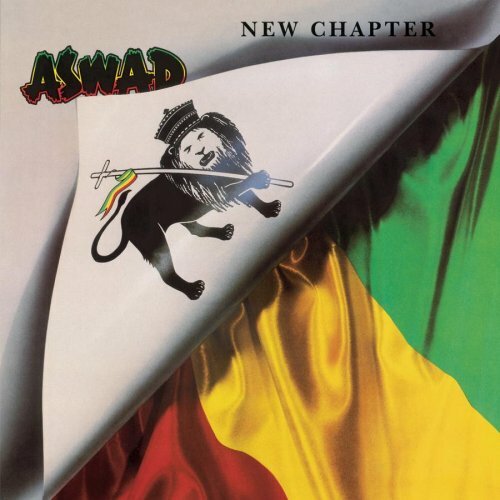 I don’t know what I expected really from Aswad, I’d heard their fairly terrible late 80’s material but not any of their earlier stuff. I looked at a compilation of theirs recently in FOPP. According to this compilation they’re Britain’s “favourite Reggae band” (not true, that’s obviously The Police). There were no songs from this album included, so that gives it mad hipster cred. This is their third album and it’s damn good. It’s also quite commercial, and it’s not difficult to see how the stuff on this album could have been part of a larger trend towards selling out. But hey this album is still great. This album is pretty diverse and hooky to be honest. There are nice vocal harmonies throughout and a lot of horns that provide the hooks when there’s an instrumental break. I’m a big fan of horns and they’re splattered all over these songs. There’s also some nice almost bluesy guitar playing at points that dribbles into your ears in a pleasant way. The bass is also really prominent especially on some of the more dubby tracks. This is of course a good thing. There’s also some goofy synth sounds on this album which are of course horribly dated but they are fun. I think that’s a my general perception of this album is just that-fun. Even on some of the more serious tracks like “Natural Progression”, there’s a really odd synth powering away under the rhythm like a demented slide whistle. It can’t fail to raise a smile really. The same with some really low pitched mumbling at the start of ‘I will keep on loving you’ it’s like Reuben and the Jets level schlock but that probably wasn’t intended. In terms of songs the opener “African Children” is pretty good. The lyrics sounded political but I was too busy paying attention to the neat drum sound and laidback, almost eerie sound of the song. It’s got those funny dated synth sounds, but they add so much character to the album. Also they make me think of video games so perhaps if you like video games but want a new hobby you can sublimate your love of video games into this album. The other absolute bangers on this album are “Natural Progression”, “Tuff we Tuff” and “Love Fire”, which closes the album with the sort of bass line that sounds like an enormous brontosaurus lumbering through some antediluvian swamp. Also a couple of the ballads on this album are horribly cheesy but I can imagine after a few bottles of claret they’ll probably do the job. “I Will Keep on Loving You” is probably on the right side of the fence in terms of cheese factor, ‘Didn’t Know at the Time’ falls on the wrong side at least for me. I’ve heard too many sappy reggae ballads already. Bleugh. If all the records on this list are as fun as this one, we’ll be in for a good time.